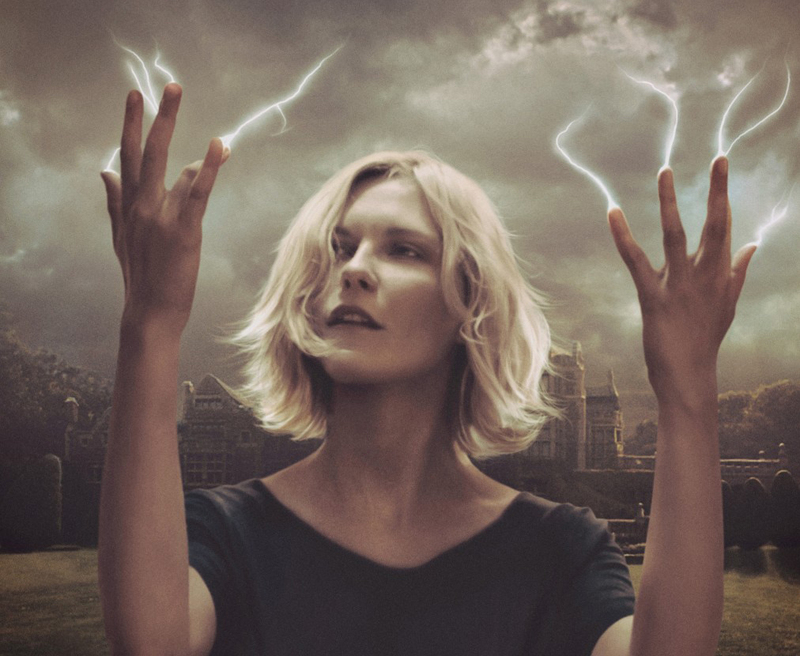 The Rockport Film Review: Lars Von Trier's Epic "MELANCHOLIA"
Writer/Director Lars Von Trier is one of the most polarizing and discussed filmmakers working today, and a lot of it has nothing to do with his movies. Is he a genius or a pompous douche bag? An endlessly talented artist or egomaniacal freak? The Danish director has had several internationally acclaimed films from "Breaking the Waves" and "Dancer in the Dark" to "Dogville" and "Manderlay". His most controversial film has been 2009's "Antichrist" (which I have also reviewed). His Cannes Film Festival press conferences have been the stuff of idiotic legend, as he can't seem to stop making bizarre and offensive remarks. I'll let you Google the rest of the story if you're interested, let's get down to business with "Melancholia"
"Melancholia" is his latest opus and while not as controversial as "Antichrist" it keeps some of the same dark and disturbing themes. Kirsten Dunst won Best Actress at Cannes this year for her role as Justine, a severely depressed woman who is getting married. Justine's sister Claire is played by "Antichrist" star Charlotte Gainsbourg. The cast also features Kiefer Sutherland, John Hurt, Charlotte Rampling & Stellan Skarsgard. The film is presented in two parts named after the sisters with Part 1 being "Justine" and Part 2 being "Claire". All of the drama is held under the threat of global destruction as a rogue blue planet named Melancholia is on a collision course with Earth. Everything takes place within a gigantic estate that seems cut off from the rest of civilization. The tone and feel of the film is pretty heavy and dark. Justine's extreme depression has been a burden on everyone for years, with Claire being the only person to really take care of her. With the wedding being a last ditch effort to bring joy and happiness to her life. The first part of the film takes place during the reception. The only thing Justine takes solace in is that the world will soon be ending. With the planet Melancholia visible in the sky, getting bigger as it approaches, Justine seems to form a sort of cosmic bond with it. Could this be her savior? Claire, on the other hand, is married to John (Sutherland) and has a little boy. She is racked with terror and anxiety at Earths impending doom. John is a sort of amateur astronomer and keeps telling her that the threat will pass, knowing full well that we are pretty much screwed. 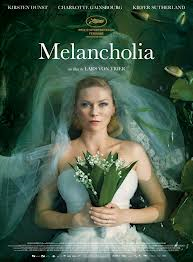 "Melancholia" like a lot of Von Trier's films is filled with symbolism and layers of meaning. Two sisters colliding, two planets colliding. Justine's severe depression also closely follows Von Trier's own such proclaimed depression. Justine at one moment tells Claire "The Earth is evil" "Life on Earth is evil" "Nobody will miss it". This movie is dark, depressing and oddly beautiful and intriguing. To see this movie it is showing on several on demand services and will be coming soon to theatres.